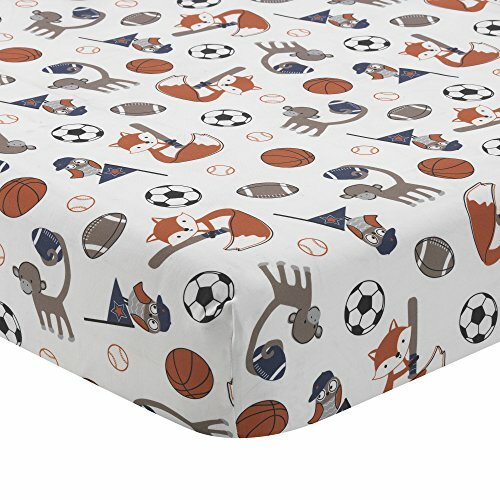 This colorful fitted cotton poly crib sheet features a collection of cute little characters playing their favorite sports. The sheet fits a standard sized 28" x 52" crib mattress and is a cotton poly blend. Imported.